In the news: Dr. Dimov was named one of The top 50 science stars of Twitter by the journal Science. Interviewed by the Chicago Tribune: Illness threatens the best of barbecuers. He authored an Expert Opinion article on Investigational drugs for the treatment of allergic rhinitis in April 2014. Click here for a current CV and a list of research projects and publications. 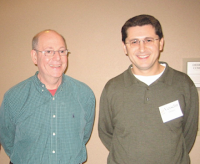 To learn more, please read the Medscape.com interviews with Dr. Dimov: Popular Case-Based Resource Models Online Medical Training and Clinical Cases Make Blog a Popular Resource. As an experienced website editor and EMR expert, Dr. Dimov helps healthcare organizations with website development, social media tools (RSS, Twitter, blog, podcast, video), and EMR/EHR. Visitor statistics for ClinicalCases.org alone include 8 million page views, 3 million visitors, 30,000 daily subscribers via RSS, 13,000 Twitter followers. 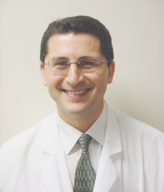 Dr. Dimov has clinics 5 days a week at Cleveland Clinic Florida, from Monday to Friday. Click here to request an appointment at Cleveland Clinic Florida - Weston, 2950 Cleveland Clinic Blvd.